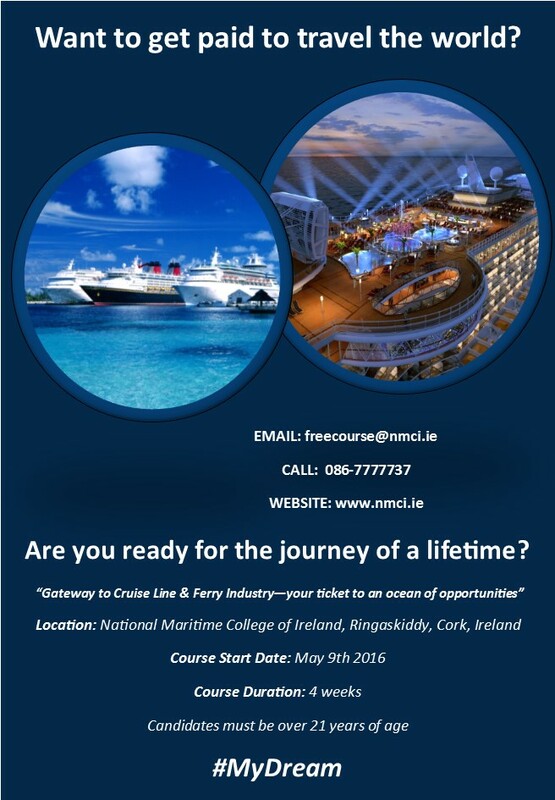 The NMCI, in conjunction with Cork Education & Training Board, are delighted to announce that we have a new course offering – “Gateway to Cruise Line & Ferry Industry”. If you are looking for something different then a career within the cruise line industry may be just for you. Positions in demand can vary greatly from hospitality, to beauticians, hairdressers, receptionists, personal trainers, childcare workers, and security / administration personnel to EI Technicians. SEFtec NMCI Offshore (SNO) , in conjunction with the Cork Education Training Board (CETB), will be running a 9 week Seafaring Safety skills course at the National Maritime College of Ireland which is funded by Cork Training Centre. The course will commence on March 21st and is suitable for those wishing to change careers paths, get back to work or to up skill. A maritime career is one where adventure and different daily experiences are a given. 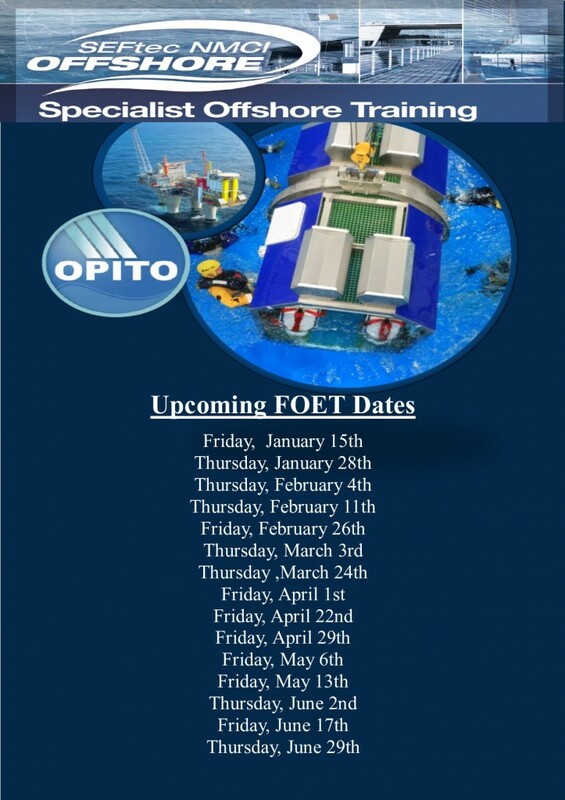 This course will give you the skill set needed to enter into a maritime career. The Maritime sector is a growing industry which has been referred to by Minister for Agriculture, Food, the Marine and Defence Simon Coveney, T.D. as being on “an unstoppable voyage of marine expansion”. The enormous potential of our incredible marine resource highlights the opportunity for work in the sector. Minister Simon Coveney, T.D. has proclaimed that our marine resources will be a key driver in our economic recovering, providing social and cultural benefits as well as economic return for Ireland. If you’re looking for something different then a maritime career may just be for you. This nine week course will include STCW Courses which is timely as these tickets will need to be refreshed before January 1st 2017. Other modules will include: Induction, General Ship Knowledge & Seamanship, Coastal Navigation, Food Safety and Hygiene, PST,PSSR,FF,EFA, Applications Software, Career Planning and job Seeking Skills, and Job Seeking. This free course could be the start of your journey into a maritime career. Please contact Garrett O’Rourke on : 086- 7777737 / freecourse@nmci.ie for further details. We were delighted to be involved in the filming of the series Tested on Humans which was aired before Christmas on RTÉ 2. Claire and Keith took the Helicopter Escape Test on the episode which was aired on December 14th. Tested On Humans was a two-part series from ShinAwiL featuring two exciting test subjects radio host Keith Walsh (Breakfast Republic and The Gun Show) and model/slash daredevil Claire Tracey. Click here to watch some of the footage taken during their visit to the NMCI. We’re delighted to announce that our 2016 Course Schedule is now available to view or download by clicking on the link above. If the course you’re enquiring about isn’t on the calendar then please contact us via: services@nmci.ie / +35321 4335609.